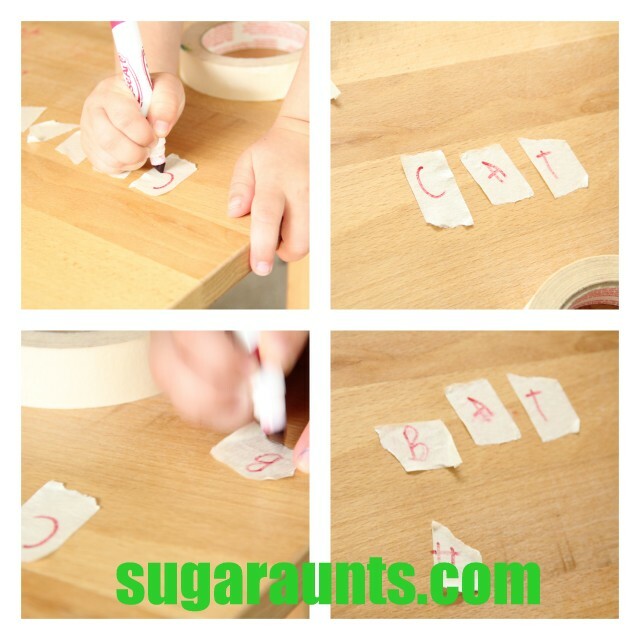 This fine motor activity is a great way to build many small motor skills. 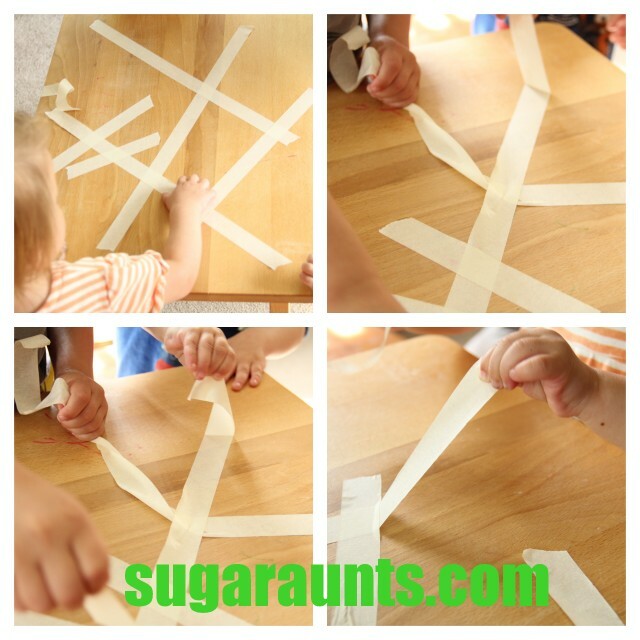 From neat pincer grasp to hand strength and arch development, this indoor play activity is one that builds many skills in a fun way! So, one morning, we had four kids in the house (Big Sister, Little Guy, Baby Girl, and Nephew). They play well together. Most times. And then other times.. they argue, fight, agitate, and do all of the normal brother/sister/cousin-who-is-around-often-enough-to-be-like-a-sibling...things! This morning, they were in a mood. A we. need. to. get. outside. and. RUN. mood. and since half of the kids were still in pajamas and there were still breakfast remnants all over the dining room table...we played a little game. We have a couple of rolls of masking tape hanging around and this mama/aunt thought they would love to do a little picking on the tape. instead of picking on each other! It was sort-of like a puzzle, figuring out which piece of tape needed to pull up first. 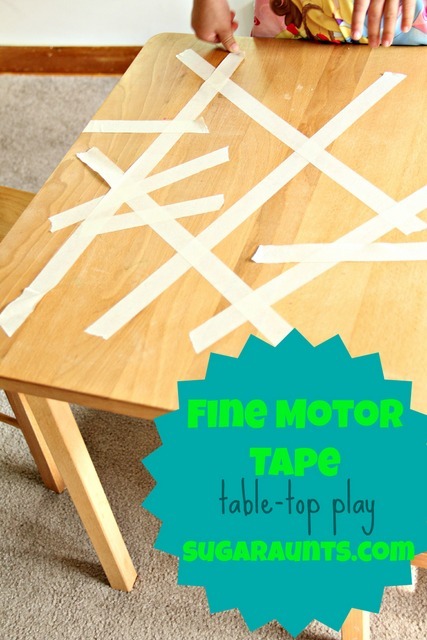 And then, when they pulled up an intersecting piece of tape, again working the fine motor skills to pull that piece up. I told her how to spell the word 'CAT' and then gave her words that rhyme with 'CAT'. She wrote the letter and put it in place of the 'C'. Agitating/arguing/sibling crisis adverted. We put on play clothes and went outside! We left the letters on the table for a few days and pulled them off, moved them around, and spelled words.